The Maximus Centurion is the latest addition to the popular and award winning Maximus PFD platform. The Centurion is a Type 5 Rescue PFD featuring the Dynamic Suspension System (DSS). 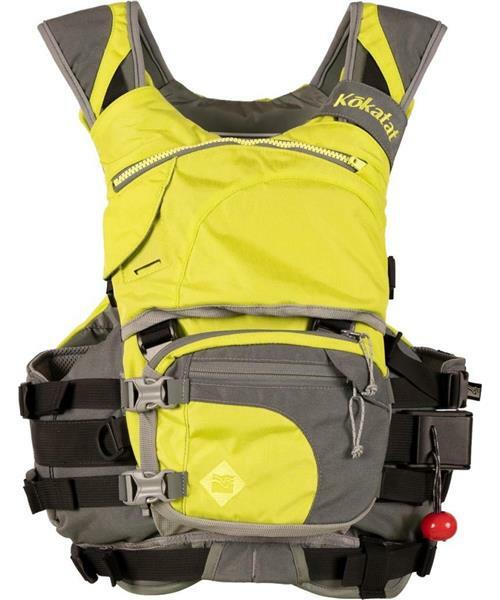 DSS features wide, contoured shoulder straps that allow an independently suspended front flotation panel to move with the paddler. The Centurion is as comfortable as it's predecessors, but with additional storage capacity and a redesigned top pocket that is more accessible. The vest comes standard with the accessory Belly Pocket that has three pockets for organizing essentials and will fit a VHF radio. Additionally, webbing adjustments have been moved to the front of the vest for easy fit adjustments. Made with all Gaia® foam, the Centurion also features a quick release safety harness with O-ring. The Centurion is USCG, Transport Canada, and European Union (ISO) approved. * Product Care: Rinse after use, hang to dry.